The fishing and weather were good. We, on the other hand, were not so hot. We had a blue marlin in our baits in the first half hour but he was not very aggressive and we never really had a shot. A small tuna bit but the line broke in the pile of whales we were fishing in. 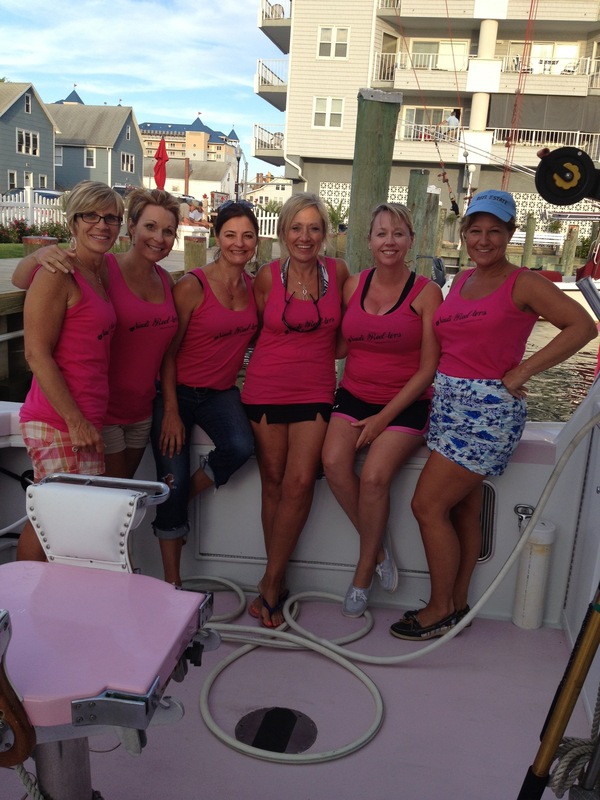 This is the second year for lady anglers Robyn Mc Grew, Nancy Fitzpatrick, Suzanne Ratti, Joanie Hynes, Yvonne Deardorff and Rose C. We hope you all had some fun in spite of slow fishing. Thank you and hope to see you all next year.